Start with Casio. 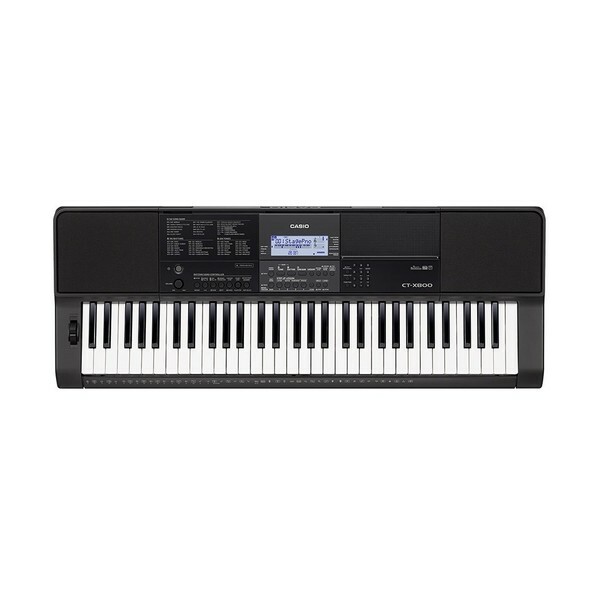 Begin your piano playing experience with the Casio CT-X800 portable keyboard. The CT-X800 is the second entry level keyboard in the awesome new CT-X range, packed with lots of new features kick start your piano playing journey. Casio's CT-X800 comes equipped with the new pitch bend wheel, USB host capabilities and powerful AiX Sound Source for a versatile experience. Without question, the CT-X800 sits above previous models. 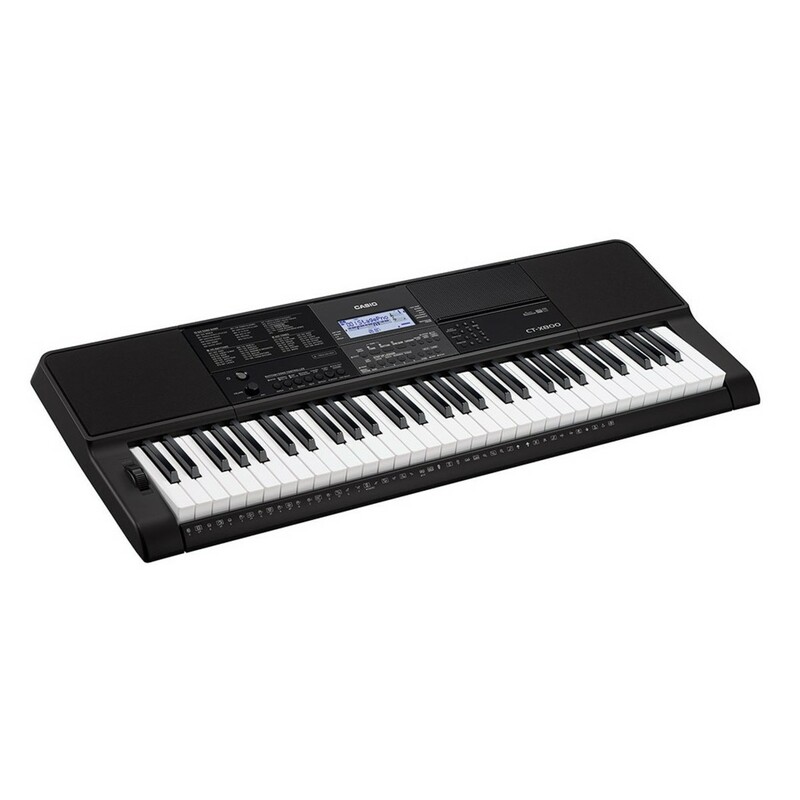 The Casio portable keyboard is equipped with a range of educational functions, such as the inbuilt piano lessons, the split/layer functions and the songbank with a range of over 150 songs. What more? Musicians can record drum beats and record compositions, then link the CT-X800 to a computer or any other other devices via MIDI and USB. With Casio, you have everything you need to begin your piano playing journey! The Acoustic Intelligent Xpression (AiX) technology is a complete re-design of sound generation. AiX reproduces the tonal characteristics of acoustic instruments making them as realistic as possible. This new technology provides a massive leap forward in sound quality, offering much more than you would expect for a mid-range keyboard. The Casio CT-X800 features a new sleek design combined with a new powerful speaker system and easy to operate display. The new addition of a pitch bend wheel and a USB host port allows the CT-X800 to be more versatile and flexible than previous models. This keyboard has a whole range of features for the budding musician. 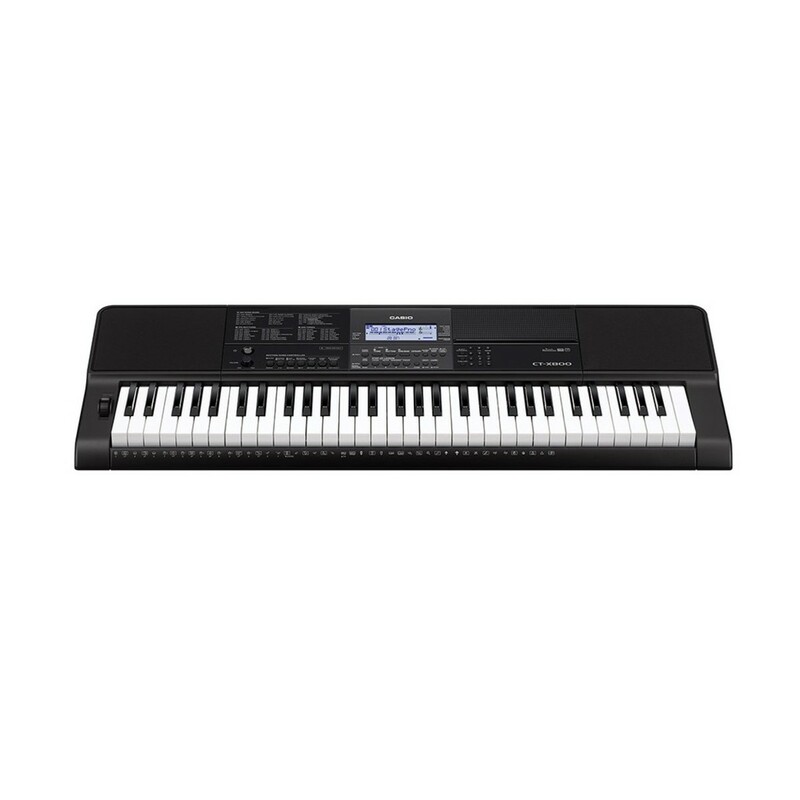 The Casio CT-X800 Portable Keyboard is complete with a full host of new sounds, giving you a sense of realism. The CT-X800 also includes 195 drum kits, authentic accompaniments, and 310 instant setups for a quick start with a range of styles and tones. A six-track song recorder allows you to build exciting compositions and recordings supplemented by a PC Connection which is driver-free so easily links to Mac, iPad or PC with music writing software. The Harmonize/Arpeggiator function adds extra accompaniment and supplementary harmonies. Having 32 registration memories allows you to recall your favourite sounds and rhythms easier - ideal for performances. Finally, the in-built mini-jack connector links your keyboard to your media player for playing along to your favourite songs .